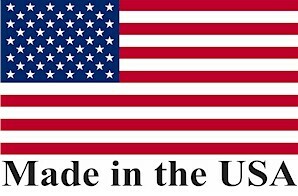 Find-A-Code, LLC is proud to proclaim that we are 100% Made in the USA! Our website, findacode.com, is designed, programmed and supported by Americans working at American jobs. We do not off-shore, right-shore, out-source or even "mechanical-turk" any of the design, development, coding, testing, updating, maintenance or any part of findacode.com. In addition our customer support staff is 100% American and they speak fluent and understandable English (with a Western accent). Find-A-Code, LLC is a debt-free, three-generation, family owned business. We enjoy working hard to provide you with the best online coding research experience anywhere on the Internet. And we beat the old fashioned coding books hands down (although a mouse is required, or at least helpful). As much as we welcome anyone in the world who wishes to subscribe to our services (and we strongly encourage you to do so), we will continue to be proud of our American heritage as you should be of your country's. Thank you for placing your trust in Findacode.com. Please feel free to email, phone or fax us with any comments, questions, or concerns.